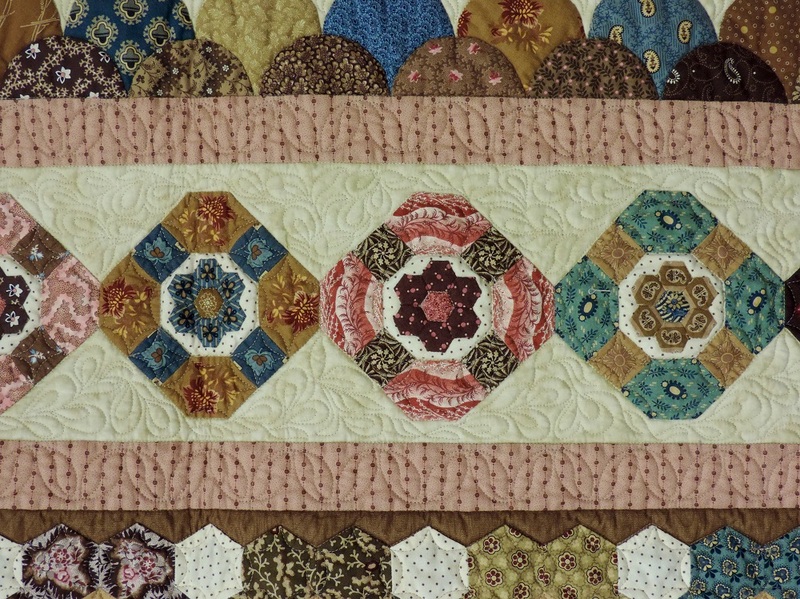 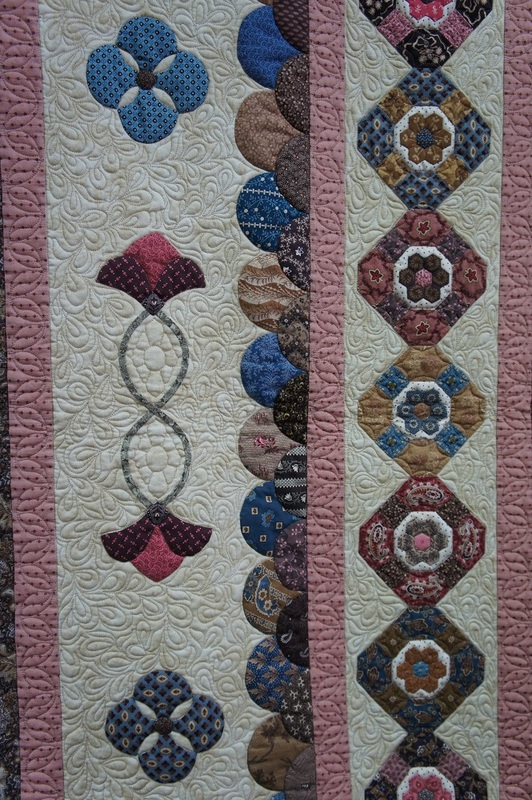 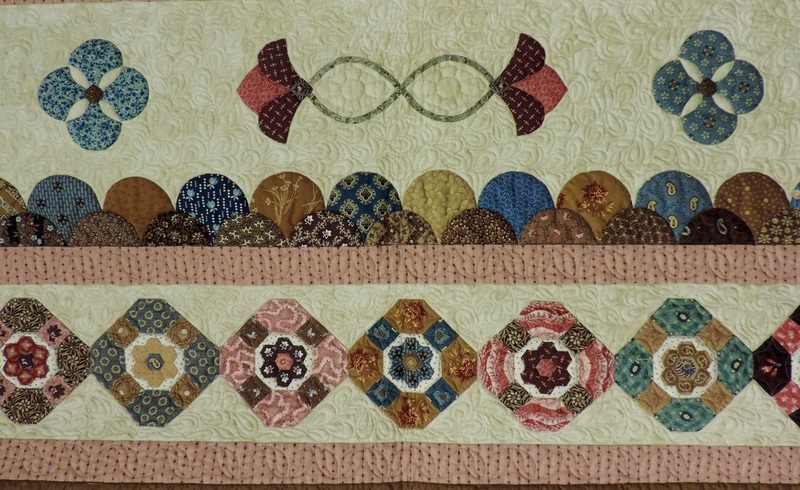 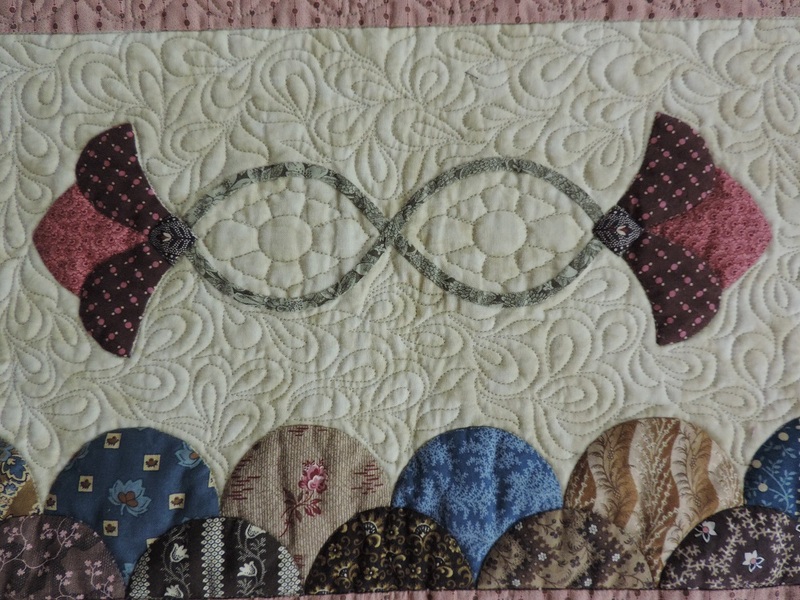 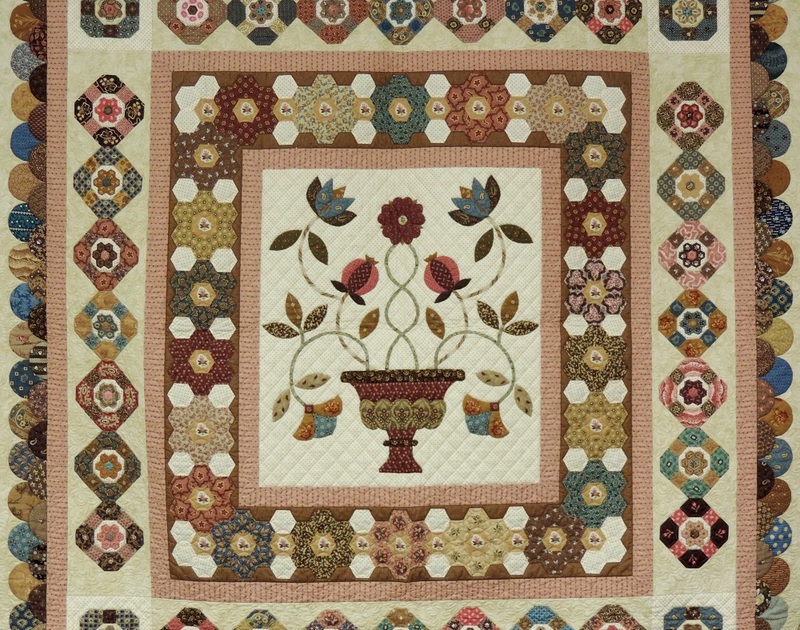 This beautiful quilt design was the third quilt made in my Jane Austen Quilt Collection. 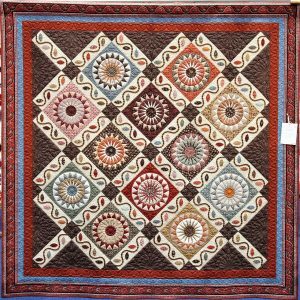 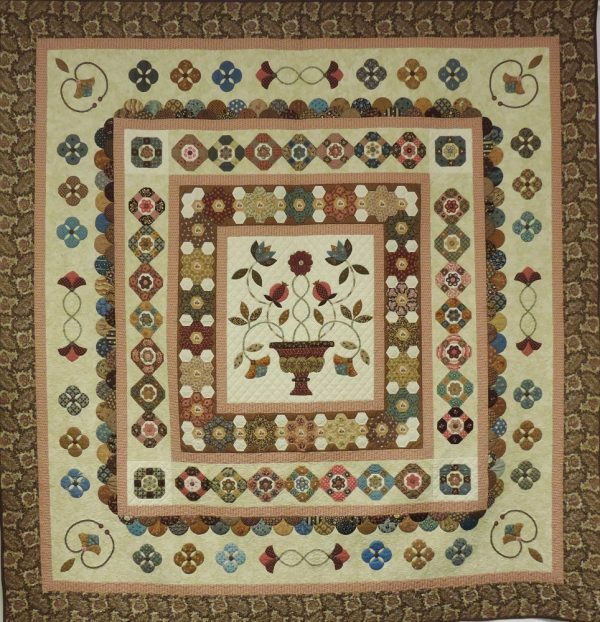 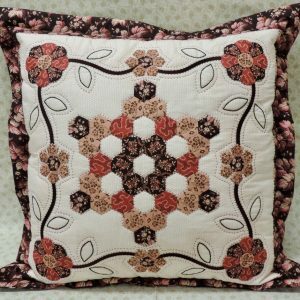 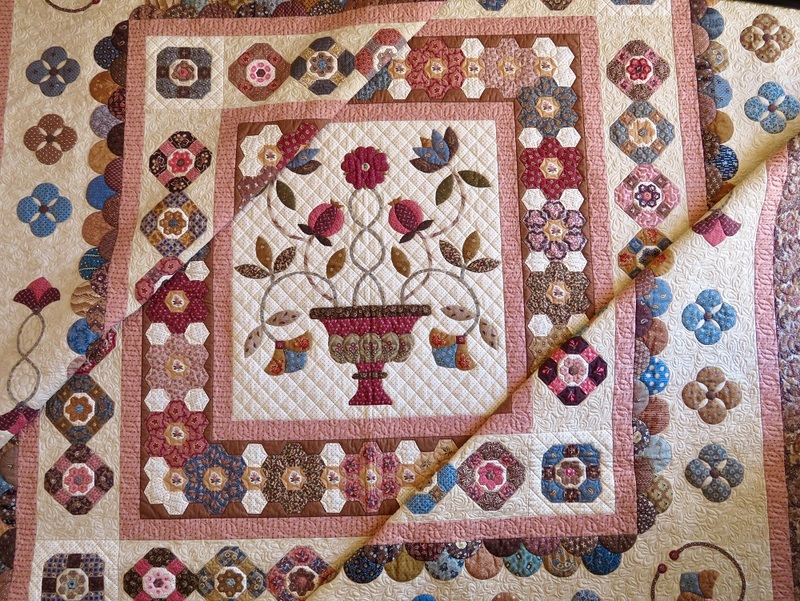 It is an extravaganza of applique and English paper piecing in a very feminine medallion quilt style. 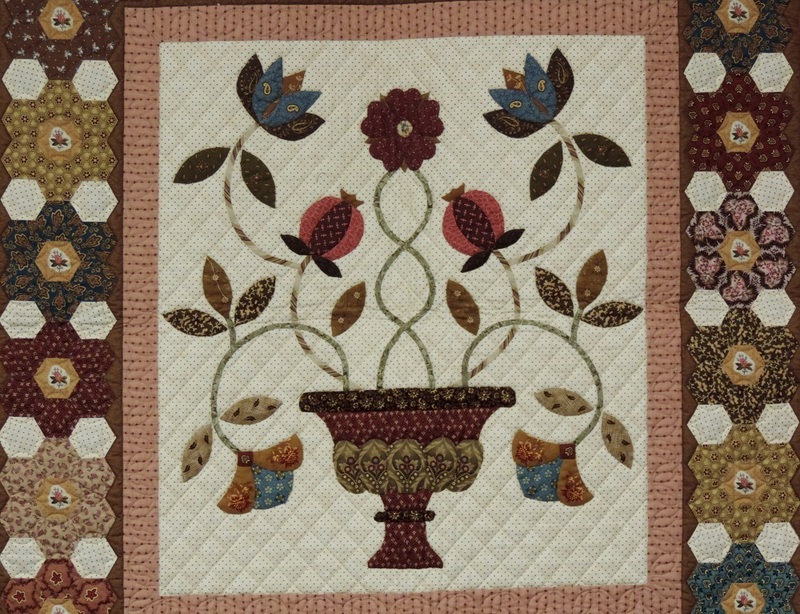 The centre urn of flowers is reminiscent of Elizabethan crewel embroidery designs with its twisted vine and Tudor rose. 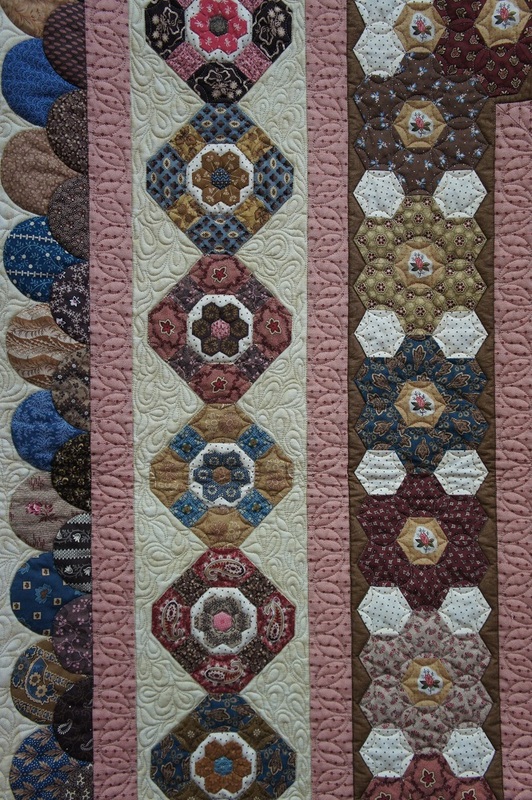 This is surrounded by borders of hexagons and clam shells, featuring lots of fussy cutting and an opportunity to show off your favourite fabrics. 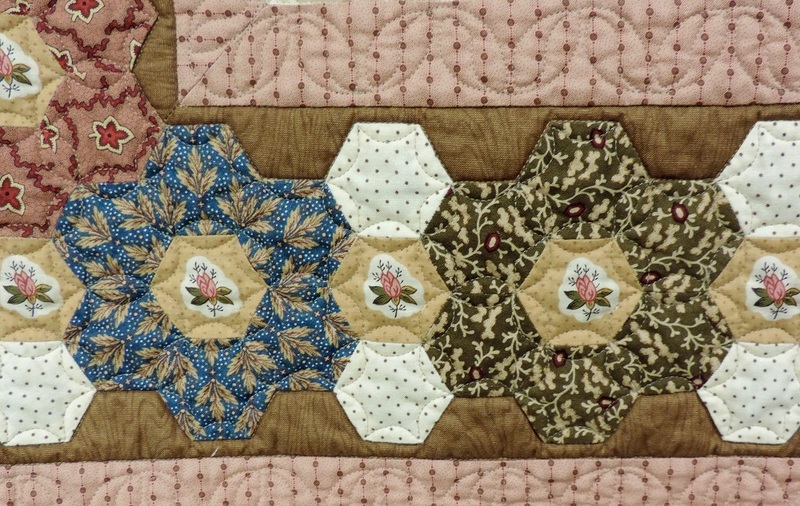 The quilt is named after the house where the five Bennet sisters lived in Pride and Prejudice. 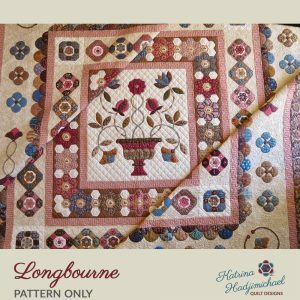 Includes both the pattern and a template kit comprising. 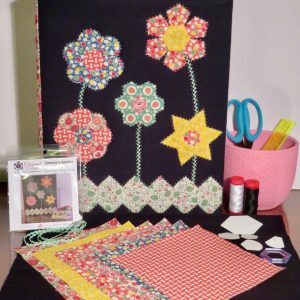 over 1000 laser cut paper shapes and six Perspex viewing window templates, all packaged individually.